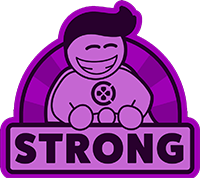 FutureGrind is ranked in the 66th percentile of games scored on OpenCritic. An intriguing, but not essential plot serves as a solid base for tightly refined, highly polished gameplay systems, making FutureGrind a highly enjoyable experience, just don’t go expecting it to consume a whole lot of your time. FutureGrind is simple to play, but hard to master. It takes a certain amount of strategy to stop your tricks and nail the correct color wheel to the rail. Overall, it's very fun to play and the booming soundtrack makes for a very enjoyable experience. 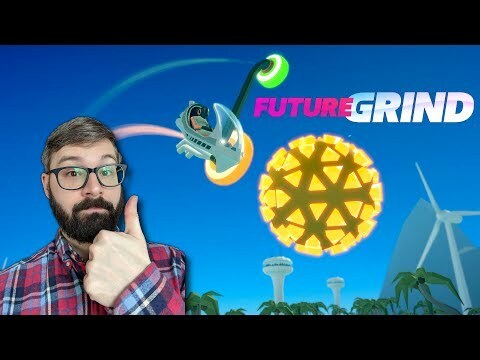 With plenty of challenges, gameplay mechanics, and a moderately enjoyable story, there’s not much you can’t enjoy about FutureGrind, which makes it a perfect fit for those looking for a game to fill in the time between upcoming titles like Daemon X Machina and Pokemon Sword and Shield. FutureGrind is a brilliantly simple 2D application of extreme sports game concepts that offers a lot of variety packed in a relatively lean package. Surprise was at every corner of this game and the engaging trick system and enjoyable campaign made for an awesome time. FutureGrind's story and sounds may not be the most grippin,g but the breadth of what's offered in terms of bikes, courses, and challenges make up for its other shortcomings. In the end, the quick thinking and creativity it requires make it a ride you won't want to miss. If these “one more go,” perform tricks and get huge scores, type of games are something you enjoy then FutureGrind is worth your time. FutureGrind is incredibly well thought out and designed. It understands what it is, and what it asks of you. The instant restarts are a feature it couldn’t live without, and it’s story mode is more than enough to carry you through. The game is wide open for DLC and expansions to do more of what it does so well. What this all amounts to, is that FutureGrind quickly becomes technically demanding for you to do mental and physical gymnastics with the controls. It never is anything insurmountable, but rather constantly forcing you to reteach your brain what bike you’re using, and what modifiers are on the track. This kind of thinking is necessary to reach the end, and work towards those diamonds. FutureGrind feels familiar and fresh all in the same breath, but it is certainly a standout title from Milkbag Games that’s the first must play of 2019. While the story is lacking and does ultimately feel unnecessary, it's not enough to take away from what is a super fun and replayable game. As imaginary sports games go, FutureGrind is one of the most rewarding on the PS4 – not because of any in game trophy or narrative pay off. No, it’s because everything in FutureGrind is achievable but challenging and any failure is because you’re thumb wasn’t fast enough or you weren’t paying enough attention. FutureGrind is a colourful and highly addictive vehicle-based platformer that'll thoroughly test your 2D gaming skills. I played FutureGrind until my thumbs were so bruised from the controller that my fingertips remained numb for several days, and a game inspiring that kind of in-the-moment tension and compulsion to improve is always a sign of something great. FutureGrind forges, destroys, and rewrites neural pathways until gray matter is shaped to command its style of acrobatic vehicular platforming. Uniracers meets Trials is an easy shortcut, but it undersells the succinct density and progressive challenge of its level design. FutureGrind has the goofy novelty and formidable sincerity of what's expected from a platformer in 2019. As an experience, FutureGrind is an excellent example of the balance between punishing and satisfying gameplay. Scoreboards and trophy systems are in place to encourage gamers to beat their previous scores, creating a level of player-induced difficulty. The ease of resetting a level goads gamers into trying more daring acts to boost combos in a high risk, high reward scenario. The varying environments and changes of pace from using the differing bikes is enough to prevent the experience from becoming stale. Overall, FutureGrind is a brilliantly addictive title with a tonne of replay value for those competitive gamers eager to better themselves and show off their skills. FutureGrind may not do much to reinvent the genre, but it is an enticing and ludicrously addictive entry into an under-served gaming niche. FutureGrind may only be made up of some bright colours, but it delivers a solid and challenging experience in the platforming genre. Simple mechanics and a selection of dynamic gameplay styles result in a satisfying playthrough. FutureGrind is an awesome take on the platforming genre that, despite some flaws, results in a fun and challenging experience from the beginning to the end. WORTH CONSIDERING - FutureGrind has a fair amount of effort in some places but comes up short in others. The gameplay is simple yet creative, the tracks are challenging, and the backgrounds and music really draw you into the game’s world. On the other hand, there’s a severe lack of content and the game never goes far enough with its premise. Overall, Future Grind is a bit too flawed for long play sessions, but as a game to take on the go it’s fun. In short spurts, there is enough depth to continue playing occasionally. I don’t see the game having much of a long life, but there is enough of an interesting foundation that could be improved to create an excellent sequel. If your life's work is mastering this specific brand of platforming, then this is an obvious purchase. Most of the rest of us will find more enjoyment in watching the game streamed during an Awesome Games Done Quick event than actually playing it.